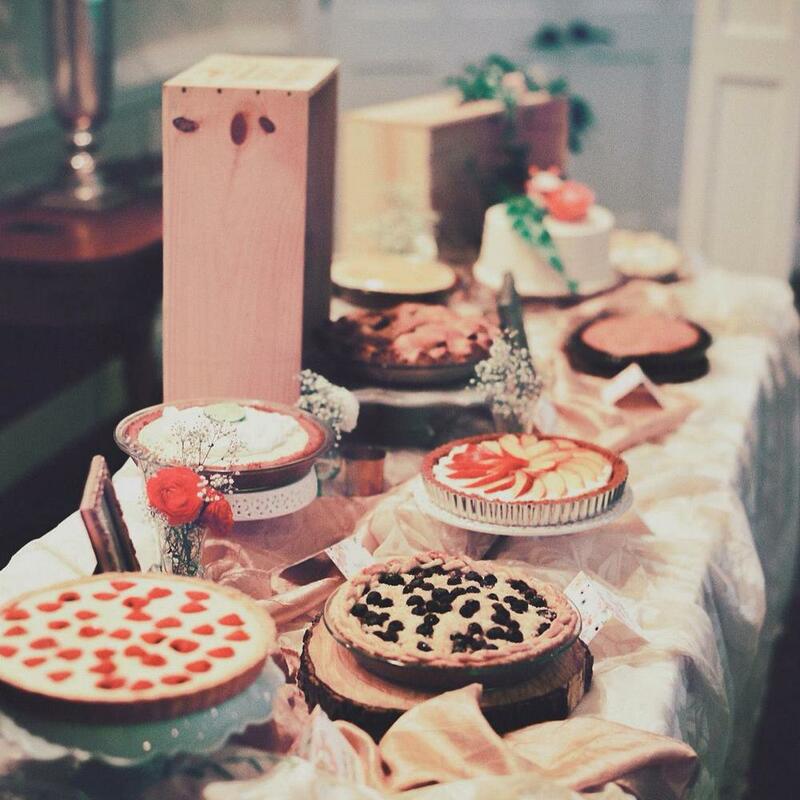 All to say, this #piesandpetalsthanksgiving is going to be one for the books, and hopefully you will be a part of it! Everyone needs pie on Thanksgiving, so why not support a small, local business that uses real ingredients and treats each received order like the most important one? On Saturday, November 12th from 1-3p we will be set up outside of Shelf Life Functional Furnishings on Main Street in Old Town Warrenton to sell pies by the slice, give out samples, and take Thanksgiving orders! Come join us! We will be delivering Pies + Petals throughout Northern VA and DC all day on Wednesday, November 23rd. Pick-up is also available at Jirani Coffeehouse. Thanksgiving Pie Flavors: Salted Caramel Apple, Maple Pumpkin, Chocolate Caramel Pecan, and Gluten Free S'mores. Autumn bouquets or centerpieces designed by MJ of LèRoy French Flowers will also be available for purchase! My intentions have been good. I promise. I wanted to start this beautiful blog about my adventures with Pies + Petals. Maybe even share a few baking tips, new creations, and the occasional personal photo to relate to my audience. But six months time has passed and here we are, lacking in posts, however.. I've got plenty of content. Let's play a bit of catch up. There's a lot of transitioning going on around here. I resigned from my 'real job'. I'm moving out to the country. I've got far away family coming back into town. I'm starting a small group for baking + discussion. Although these are all good things, life is a lot to handle, so there's this to remember always: "Therefore do not be anxious about tomorrow, for tomorrow will be anxious for itself. Sufficient for the day is its own trouble." Coffee is the best. People in the coffee business are also some of the best. I'm excited to announce that Pies + Petals will be partnering with Jirani Coffeehouse in Old Town Manassas! Not only will you be able to buy pie by the slice, but I'll also have a variety of baked goods for sale to pair with your beverage. You'll even have the option to pick up your online orders in-store! Jirani is scheduled for a grand opening sometime this Fall, in the meantime make sure to follow @jiranicoffee and like them on Facebook to stay updated. Pies + Petals will maintain door to door deliveries, but I'm changing how it works a bit. Starting September 7th, Pies + Petals will make deliveries on Thursday and Friday only, to guarantee delivery please place your orders on the preceding Monday by 4p. I'll try to keep updating this little blog, can't make any promises though. I can promise that I will keep on making pies (lots of 'em), and I may even release my Autumn menu soon.. Thanks for following along with Pies + Petals! This has been quite the adventure so far. Baking pies, making deliveries, catering weddings, celebrating with you all in your birthdays, graduations, promotions, grieving with you in your losses, encouraging you in your recoveries, while consistently persuading you to eat more pie. I've been recognized as "the girl who makes pie" in a church bathroom and the local coffee shop, conquered my first official Thanksgiving as Pies + Petals, received every possible gift associated with pie (I'm not complaining), and even convinced my family and friends (thank you to these special people!) to commit to working with me in the future. I have learned a lot, but there is still much to learn, which brings me to my next adventure: Beginning February 17th, Pies + Petals will be headed to the West Coast - To study the foundation of pastry + technique, to taste as much pie possible in the bay area, to gain perspective and inspiration for my next season as Owner and Pie Maker. 1. Food Truck: This is the dream, to own a food truck, to load up in the morning and travel into the city (Washington, DC) to sell pie by the slice, and bouquets of flowers. 2. Kitchen: An inspiring space to make sweet things, host tastings and workshops, with natural lighting, dreamy marble counter tops, and abundant amounts of 60s french pop echoing through the space. 3. Involve People. I don't want to be too transparent with my hopes for Pies + Petals, but I have very much seen the therapeutic effects of baking. I would love to host workshops for the general public, for people dealing with anxiety or loss, for victims of abuse, illness, and misfortune. There is a big concept here, one that I am prayerfully contemplating and hoping for. I hope to keep up with this blog during my travels, and to continue to share photos of my adventures on Instagram (@piesandpetals). Pies + Petals will return sometime in the spring and continue to take future orders for larger events, weddings, and celebrations. In the meantime, remember that LeRoy French Flowers will still provide all of your flowery desires (email mj@leroyfrenchflowers.com), and please don't hesitate to send a message my way to discuss future orders or just say hello! A million thanks to you all for following along and continuing to support Pies + Petals. See you soon!